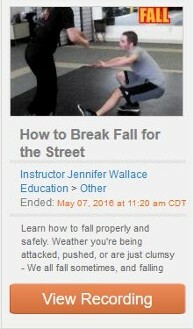 We just started to offer the ability to learn on-line, live or recorded, for your convenience. As we grow, we will be offering opportunities to learn live on-line, and to view on-line recordings for lessons you miss for FREE, or at a nominal fee. You can schedule a private on-line lesson, ask the instructor questions, and eventually watch weekly training sessions and bootcamps on-line right from your home, no matter where you're from. These are tips and tricks to be used to enhance how you defend, counter attack, and execute techniques. 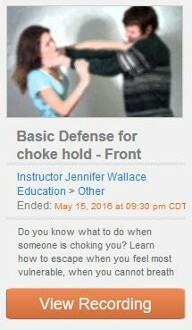 Introduction to Custom Self Defense. We are always adding more videos as we do them, so check back frequently. Some videos will get a little blurry with fast movements and we apologize, but we feel you can still understand and learn from them. 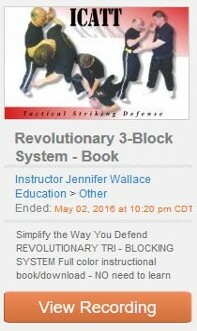 Simplify your blocking by using only 3 blocks in my Tri-Block System. Takes the guesswork out of how to defend different strikes by defending to the safest angle of defense, using the same angles and only 3 different block to block all strikes and kicks.